""I have penned a number of articles about G351 in Ticket to Ride, starting in 2001 when setting out the objectives in rebuilding this important vehicle. Subsequently, I have reported on project progress. It gives me immense pleasure to report today that G351 's programme of restoration has been completed. 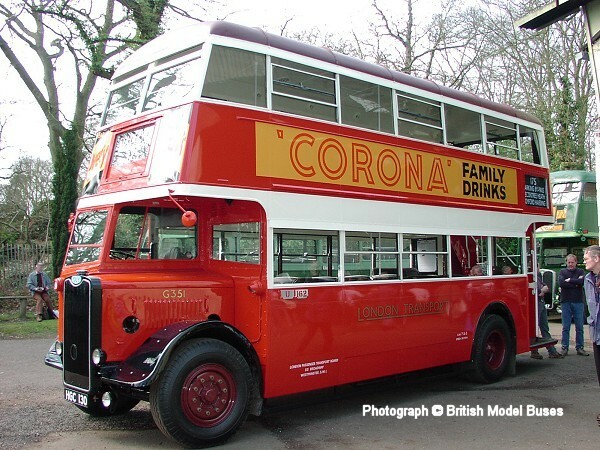 The fully restored vehicle will be rolled out at Cobham Bus Museum at noon today, with its official handover ceremony due to take place at 2.15pm in the presence of the Mayor of Elmbridge, Councillor Martin Schofield. 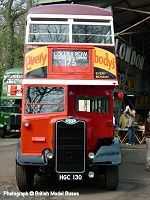 Afterwards, it is planned that G351 will lead a procession of other buses on a Road Run to Wisley Airfield and back, stopping at Wisley to enable photographers to record this historic event. G351 is a Park Royal Utility-bodied Guy Arab dating from 1945. 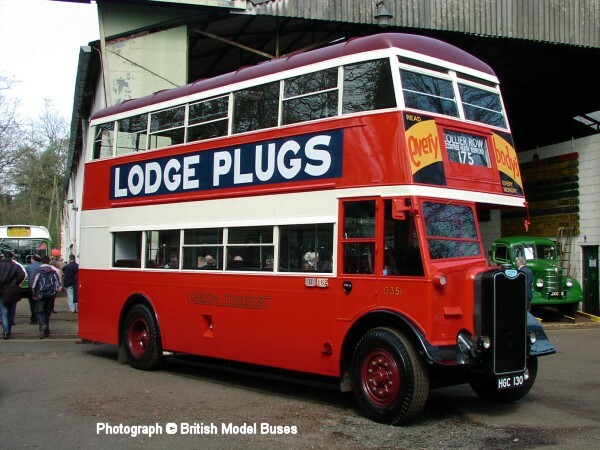 The Utility Bus was a wartime specification for a vehicle to be supplied to operators throughout the United Kingdom using chassis from manufacturers who were not already fully committed by the Government to heavy production for the Armed Forces. 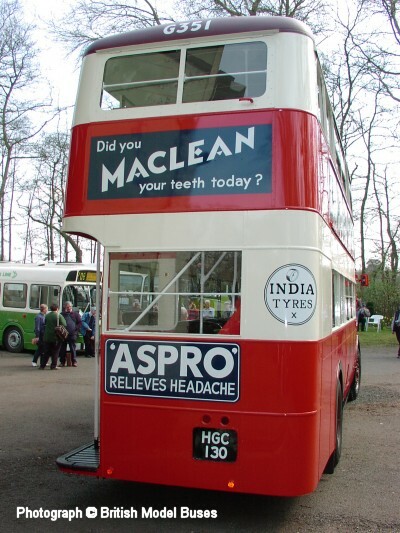 Chassis by Guy, Bristol and Daimler were the backbone of the construction although a limited number were fitted to Leyland production. The plan envisaged that Utility bodies would be identical in order to fit easily all the various chassis. In fact, theory and practice differed, with each manufacturer adopting the specification to its own production methods. 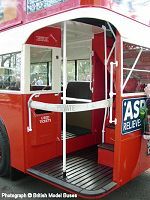 As might be expected, London Transport was able to ensure that its Utility vehicles had various modifications, particularly in blind mechanisms, to be more in accordance with standard LT practice. 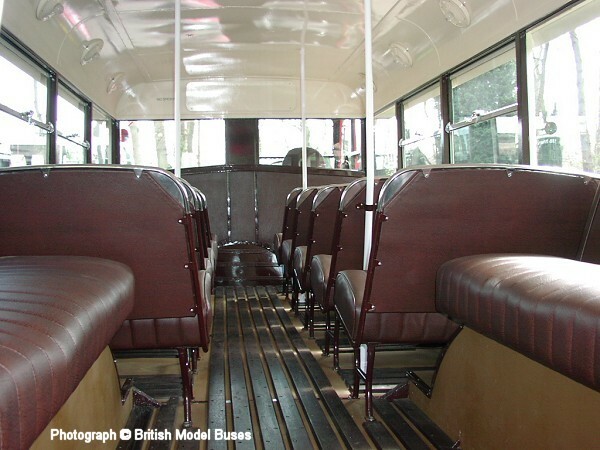 Towards the end of the war, there was some relaxation in the Utility specification and, for example, G351's construction included such 'luxuries' as ten wind-down half-droplight windows, a glazed rear emergency window and upholstered seats. In February 1946, G351 was allocated to Upton Park garage where it remained for all its short life with LT, working on routes 86A, 101 and 175. Withdrawn by LT in 1952, G351 ran until 1967 with Burton Corporation where it was partially reframed to what we now know to be somewhat dubious standards. It would have passed to that great bus garage in the sky had it not been saved from destruction by Cobham member John Lines - then a police motorcyclist but now the Reverend John Lines. G351 was repainted into LT livery but there were serious problems with its by now fragile bodywork, the specification having envisaged only an eight year life. With the cost of restoration passing beyond that of any sane man, John donated the vehicle to the Cobham collection in order that its future might be secured. Restoration work began in 1999 when G351's body was removed from the chassis. The chassis received an overhaul up to standards as good as. if not better than, the day it was built. Its 5 cylinder Gardner diesel engine was rebuilt by Gardners partly as a donation, the balance being funded by the late Bill Cottrell who, along with Andy Baxter, seemed to be an integral part of the chassis for nearly two years, until in 2001 when it was driven out into the Cobham yard. Since then, body and chassis have been reunited and the body framework has been rebuilt completely. Original material has been retained wherever we were sure its continued use would not compromise the future of the vehicle. Missing droplight windows have been remanufactured and seats have been returned to new. Cobham volunteers renovated the seat frames and the seats were reupholstered in horse hair and imitation leather. The vehicle as you will see it today is a tremendous credit to all those who have worked hard to return this unique bus to the preservation scene. This was only accomplished by the generosity of a Science Museum Resource Grant, donations by Cobham members, revenue generated from Open Days such as today and the skill and patience of those who have worked upon it."" 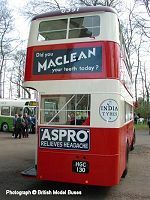 To find out more about the Cobham Bus Museum and how you might join as a member and support other restoration projects CLICK HERE to visit their web site. 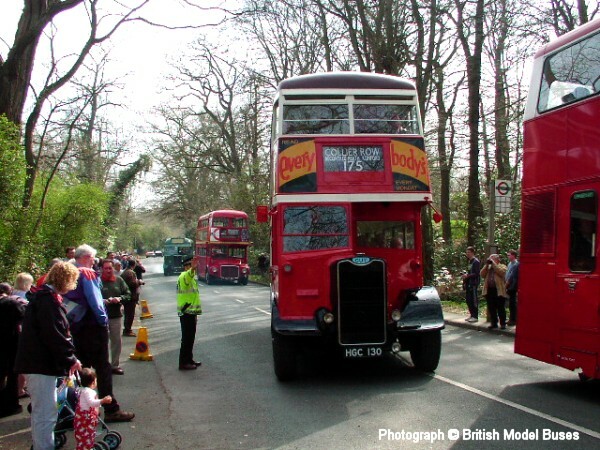 G351 leading a procession of other buses from Cobham Bus Museum on her inaugural Road Run to Wisley Airfield. My wife and 18 month old daughter can be see in the bottom left corner of the photograph watching as she passes by. 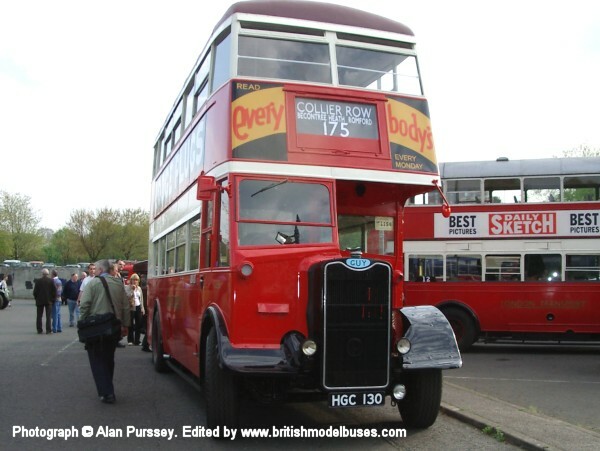 This photograph of G351 was taken at Crystal Palace on Sunday the 1st of May 2005 whilst registering her (in the background is ST922) before setting off on the H.C.V.S. run to Brighton. Alan advises me that she ran like a dream and won two awards. All the Cobham members who had worked on her were invited on the run and had a great but tiring day, setting out at 6-15am and returning back to Cobham around 8-30 in the evening.